Boy does time fly! Can’t believe we are headed into 2013! I want to thank you guys for all your support throughout the year! I am sure 2013 will rock as well! 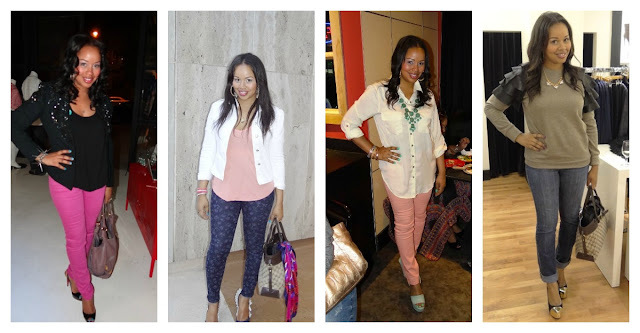 I thought I would be cool to go through some old post and pick out some of my favorite outfits that I wore last year. I had a few “Why did I wear that” but for the most part I think I kept it together! The high bun/ top knot was in full swing for me this year! I am glad that I managed to add a little color to my wardrobe this year. Can’t go wrong rocking jeans with heels! Plenty of dresses in 2012! I also added some patterns to my wardrobe! These are my two most favorite outfits! 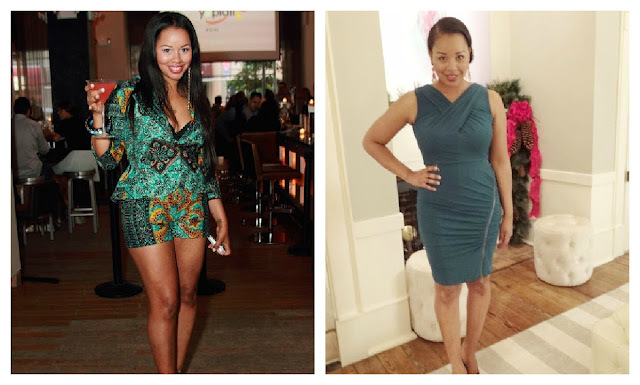 My Suakoko Betty short suit I wore for my Lipstick and High Heels event in NYC (HERE) and my new Laundry by Shelli Segal dress I recently wore to an event honoring Sara Blakely (HERE). I may have the same ole pose but I am happy that I tried new things like adding color and patterns. In 2013 I would like to do more wardrobe remixing with key pieces. Which one of these looks are your favorite? How was your 2012 in fashion? What are your 2013 fashion goals? You look so fab! I want to be more adventurous with my looks in 2013 and definitely add more color! The blue shoes from the Neiman’s event are my favs. You looked so glam. You looked fabulous in every picture! You always look fab! I love all of these looks! I love you in the short suit! My favorite casual outfit is the colored denim with the contrasting bubble necklace. Trina. Absolutely gorgeous. I love the wide range of style of your outfits. You are a fierce and a true fashionista. One hot mama for sure!!! LOVE that shirt suit from the 2nd to last photo…I don’t think I saw that post..AMAZING! Wishing you the best and brightest in 2013! My fave still has to be the pink shorts and blue heels, and the outfit you wore to the lipstick and high heels event where we FINALLY met in person! You rocked 2012 – keep on rocking! Very darling looks on you! She get it from her MAMA!!!! You betta do it… FLY MAMA!!! !